Below is a story featured in our Urban Housefitters Quarterly. Email Haley@UrbanHousefitters.com if you would like to receive a copy of the next one! How many times a day do you say the phrase ‘I’ve been so busy!’ to someone in your life? If you are anything like us, then the word ‘busy’ has overrun your vocabulary these days! We decided to take some time exploring Franklin, TN as a way of pumping the breaks on the fast paced demands of everyday life and guess what? It did not disappoint! The city is so rich in history and craftsmanship you could spend a lifetime exploring every nook and cranny of this historic town and still be surprised by what you discover at the end of the day. Franklin is unique in that it is a bonafide business district of our state but still manages to maintain the wholesome small town charm of a tight-knit farming community. So what does a day in Franklin potentially look like? To start the day you're going to want to fill up at a delicious and local breakfast spot. Lucky for you, there are several local options in the heart of Franklin where you will find a plethora of delicious breakfast items paired with an atmosphere worthy of Southern Living or Garden & Gun. Two favorite options that stand out among the rest are 55 South Restaurantand Meridee’s Breadbasket. If you are looking to be in the center of a bustling restaurant with some of the best southern comfort food, then 55 South is the place for you. Menu items are reminiscent of a trip to Memphis or New Orleans with shrimp and grits or chicken and waffles as fan favorites. And then there is Merridee’s Breadbasket that will transport you back to the good ole days. Merridee’s is known for old fashion, made from scratch, bakery items along with carefully curated breakfast menu which includes yummy staples such as biscuits and gravy or scrambled eggs. The inviting atmosphere melds together with the delicious food and you will want to stay for hours drinking coffee and catching up with old friends. After filling up on a country style breakfast head on over to the huge (really, its HUGE!) Franklin Farmers Marketwith over 100 vendors included both produce farmers and artisans. Fill up your canvas bags with some fresh goodies maybe even scope out some furniture and feel good about what you're serving to your family for the week. The Franklin Farmers Market could encompass an entire day on its own but is also great for a quick stopover after breakfast. They frequently have live music and events throughout the year such as The Tomato Festival or Chili Cook Off so check their calendar for what’s coming up. If you’re a history buff then there is no shortage of tours in Franklin that will take you back to yesteryear! Franklin was the epicenter of one of the bloodiest battles in the Civil War and there are numerous tours throughout the city that will walk you through the history of the war. Masses of Civil War aficionados make pilgrimages to Franklin every year to explore the area. Civil War history not your thing? Well don’t worry! Franklin is also known for its wineries, breweries, and distilleries. 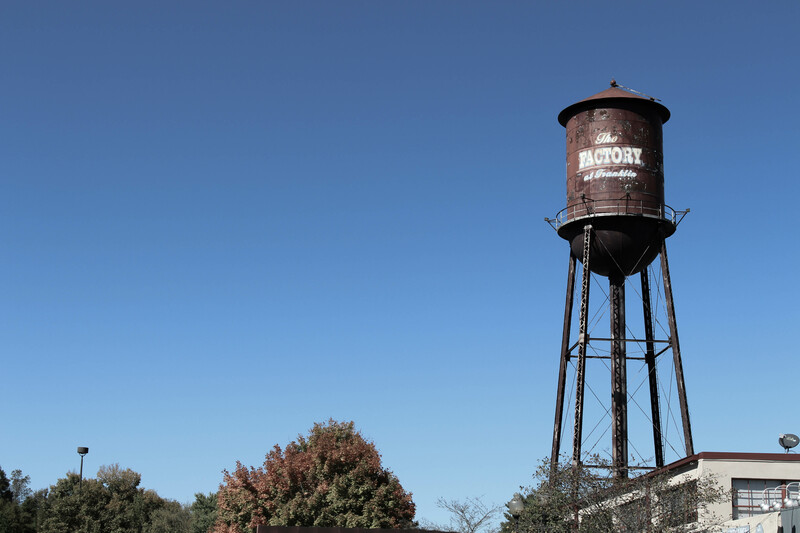 Tours such as the ‘Masters & Makers’ will take you through Williamson County recounting how ‘Tennessee’ and ‘whiskey’ became synonymous. All of this history talk is probably making you hungry again by now. So for lunch you, again, have lots of local options that will make you feel right at home. Grays on Main is a personal favorite. You can’t beat the atmosphere and guess what? It’s a historic building and the wait staff will tell you all about on your way to your table. We recommend the bacon wrapped figs and fried pimento cheese balls to start and you can’t go wrong with one of their salads or pizzas either! Or, if you have lots of time on your hands, you should check out Homestead Manor which is a 50 acre Civil War era home that features farm to table options and is a wonderful place to wow any friends and family who might be visiting. 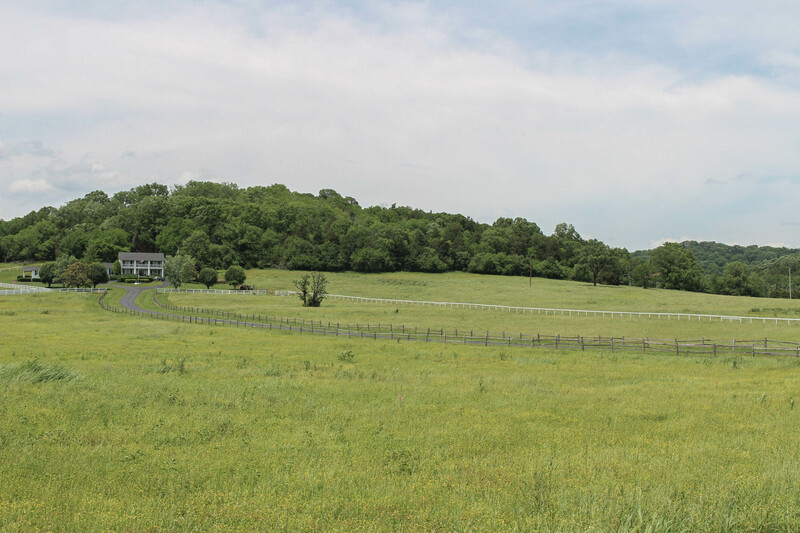 There are plenty of recreational options around Franklin where you can work off lunch. Many visitors love to canoe the Harpeth or hike the beautiful trails around town such at Fort Granger Trail or Pinkerton Park Trail. Not looking to overexert? There are shops that showcase local craftsmanship or clothing that will help you find that must have decor item for your home or the go to outfit for your wardrobe. 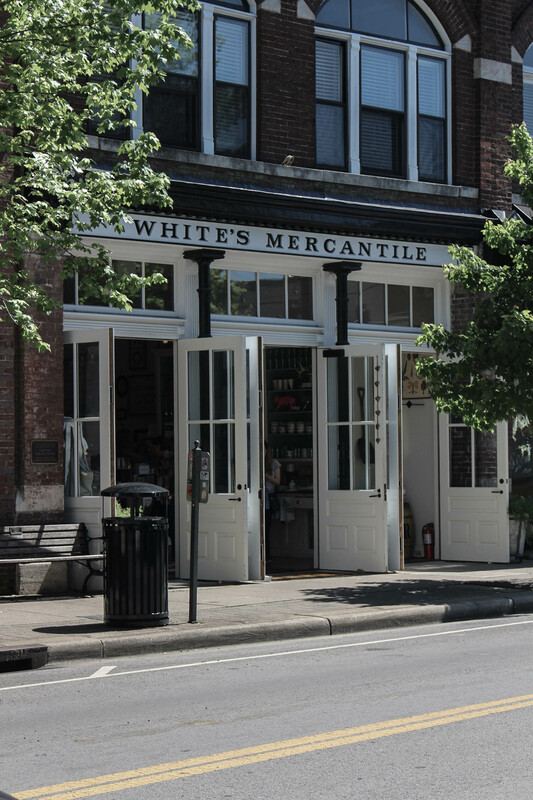 Be sure to stop by White Mercantile, Heylee B., or Avec Moi which all blend jewelry, home decor, and fashion. To cap off your adventures, it’s time to reward yourself with some happy hour and then off to dinner. JJ’s Wine Bar is right on E. Main Street so starting there and leisurely heading to dinner in the square afterwards is a great option. 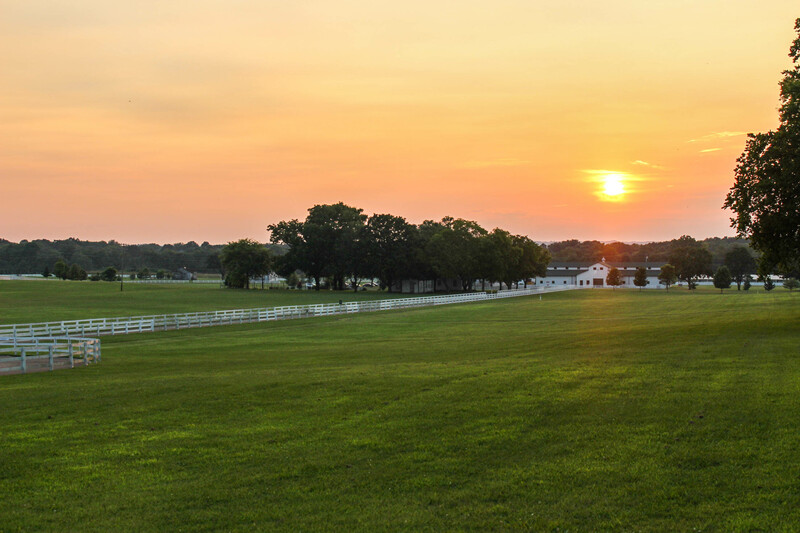 Or if you haven’t had your fill of the outdoors, we highly recommend Arrington Vineyards where you are able to bring your own picnic dinner and enjoy their award winning wines as well as nightly live music dubbed ‘Music in the Vines’. Or maybe you are looking for something a little more upscale? Then Red Pony is a must! The ambiance alone is worth the trip but the food is mouthwatering with menu items such as oysters and a cowboy ribeye. They change the menu with the seasons so you can guarantee what you are eating is fresh and delicious. Or head over to Cork & Cow. The name says it all — a curated wine menu with a choice meat selection to match. This has date night written all over it! Now if you haven’t run out of steam after dinner, there is always live music to be heard and drinks to be had at a number of venues. A few of our favorites are Puckett’s, Grays on Main, or Whiskey Room. Have yourself a nightcap and call it a day…a GREAT day in Franklin, TN!